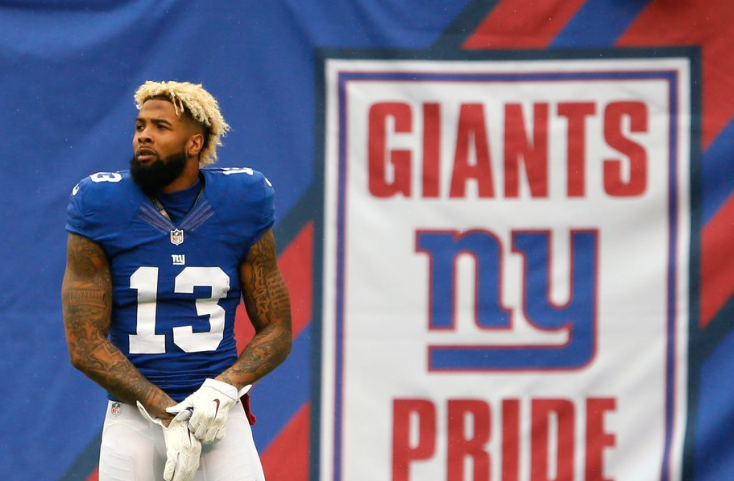 Odell Beckham Jr. has agreed to a five-year extension with the New York Giants. Beckham Jr. was born on November 5th, 1992. He grew up in Louisiana and went to one of the local schools. He started off his football career playing for Isidore Newman High School in Louisiana. He was a very athletic person and clearly loved sports. He played and lettered in football, basketball, and track. During his football years, he played wide receiver, quarterback, running back and corner back! His junior year, he caught 45 passes with 743 yards and 10 touchdowns. As he approached his senior year, things just kept looking up for him. He made 50 catches for 1,010 yards and 19 touchdowns. In college, during his freshman year, he started 9 of 14 games. As a sophomore he started 12 of 13 games. His junior year, however, was the best one of his collegiate athlete years. It is said that him and NFL star Jarvis Landry combined to form one of the best high school wide receiver duos. Beckham Jr. was also named the winner of the 2013 Paul Hornung Award which is presented to the most versatile player every year. He decided to enter into the NFL draft in 2014. Little did he know, he would be picked up in the first round. Beckham Jr. was picked number 12 overall in the first round by the New York Giants. He signed his contract with the New York Giants on May 19th, 2014, not knowing he was going to be with the team for the next four years. He has had an outstanding past four years in the National Football League. He has caught 36 touch down passes for 4,424 yards on the receiving end. The thing is, this is just the beginning of the rest of his career. Beckham Jr. has had an amazing football career. He is known as the best wide receiver, alongside his old partner in crime Jarvis Landry (Cleveland Browns). He is not only the best receiver in the game, but he is the highest paid receiver in the history of the National Football League. He is now making 95 million dollars. He now has a brand new five-year contract to go with all of his amazing efforts in the NFL. Not only did he deserve this contract, but he deserves many more due to outstanding efforts and a huge dedication to the game of football.